From the archives: How Do You Know If a Psychic Is Ethical? A:”For real” could mean a lot of things, but in this case they were talking about ethics. They wanted to know how to tell if a psychic wants to help people or just make a quick buck. We are all in this business for one reason or another. And yes, we do ask either a set price or suggested donation for our work (after all, we need to eat too, but we’ll explore this part more in another post). Just the same, here are some simple signs that a “psychic” is someone who is sincere about what they are doing and may be in this for more reasons than just income alone. HONESTY: An ethical psychic will tell you up front if they can or can not answer a particular type of question. I don’t work with medical questions. An ethical psychic will tell you what intuitive work can and can not do. No one person has all the answers for everything. No one is “100% accurate”. The future is not fixed – it depends totally on you, your decisions, your actions, what you choose not to do – any dozens of things that make predicting the future impossible. So phrases like “100% accurate” or “guaranteed results” always make me run, not walk, in the opposite direction. If it sounds to good to be true…it isn’t. To guarantee results is to rob you of your freedom and free will. An ethical psychic will give you a realistic idea of what to expect from a reading. CLARITY: Does the psychic make the information understandable to you? Is the reading helpful? Can you USE it to make better decisions or make better sense out of your concerns? Psychic readings aren’t any good to anybody if they make no sense. WILLINGNESS TO ANSWER QUESTIONS: Sometimes it is hard to put the nonverbal images and impressions we receive into words. That is where the real skill of a psychic lies. We all have intuition and ‘psychic’ ability. The real gift is in being able to communicate the information in an understandable, helpful way. If you are in a reading, and you don’t understand what is being said, ask. If you are working with an e-mail reading…send a follow up question. (within reason). Someone who really wants to help will be willing to make the reading understandable to you. Don’t take what a psychic says at face value just because it sounds fancy, esoteric or educated. Ask them to clarify. If they won’t or become angry or offended, you may want to re-think if this is the best psychic match for you. OPENNESS ABOUT PRICES AND BUSINESS POLICIES: The reality is, whether the psychic approaches the readings as counseling, spiritual guidance, entertainment or what have you – it is still a business. Especially if that is there sole livelihood. Prices should be up-front, as are other standard business concerns like forms of payment, refund policies, hours, etc. A good teacher knows when to set limits and lets you know the rules. PROFESSIONALISM AND COURTESY: In my opinion, Psychic and Tarot work is all about helping people. 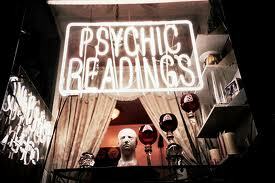 More often than not, if someone seeks out a psychic reading it is because they have some problem, or concern. They are upset and vulnerable in many cases. An ethical psychic will not take advantage of a situation like that. A reading should never be frightening. If you feel intimidated, or belittled in any way, that should be a warning sign to you. RESPECT FOR YOUR DECISIONS AND BELIEFS: You should be the one to decide when, if ever, you go back for a reading. Getting too many readings in too short of a time can get confusing and ultimately do more harm than good. Intuitive readings shouldn’t ask that you believe certain things or not. Skepticism will not scare away or block “spirits” and lack of ‘believing” won’t keep you from getting a good reading. You should feel as if you are being treated with dignity and respect…not excluded from ‘the spirit world’ if you don’t believe certain things. If you don’t feel comfortale with a psychic doesn’t mean the psychic is unethical, or in-genuine, or only in it for the money: Just like doctors and ministers, we all have our own specialties, our own styles, and our own belief systems. For example, some people love to go to dramatic, flamboyant psychics – it makes the reading more interesting and fun. Some people need the extra drama to ‘believe’ and let themselves be helped by the reading experience. Other people like a more practical style. My goal is to be the “no drama”, calm, reassuring type of psychic. Different kinds of problems need different kinds of psychics. Some psychics work very well with medical concerns ( like the Carolyn Myss and Edgar Cayce, for example). The same is true with bereavement, or issues of life after death. Some are mediums and connect with crossed loved ones very easily, while it happens less often for others pychics. DOES THE PSYCHIC HAVE SOME STRUCTURED BELIEF SYSTEM / ETHICAL BELIEFS: This is a tricky one. Just because a psychic doesn’t share YOUR particular beliefs doesn’t mean they are unethical or criminal. The key is if they have some sort of structured ethical system guiding their psychic practice. Personally, I am a Universal Life Ordained Preceptor (minister for individuals instead of a congregation), which makes it very easy to communicate my ethics to my clients. Some psychics are spiritualists. Some are Catholic. Some draw from New Age thought and metaphysics. It doesn’t matter what school of thought they follow, as long as everyone has some cohesive idea of what is right and what is wrong. Here is another example: I believe it is impossible to predict the future – so someone who only wants a prediction and doesn’t want to hear anything about advice or spiritual guidance does not do well with my style of readings. They might do better with other, more predictive readers. By the same token, I would not do well with a reading from some one (like some local intuitives) who work strongly with christian symbolism. Yet I have had wonderful readings from other local psychics with a more metaphysical / eastern philosophy background. Even if they are totally honest and well-meaning, not every psychic is a good match for everyone. As long as you both have some clear idea of right and wrong, you will find the right psychic match for you. IN THE END, YOU SHOULD ALWAYS FEEL BETTER AFTER A READING THAN YOU DID BEFORE THE READING STARTED. YOU SHOULD NEVER FEEL FRIGHTENED OR INTIMIDATED BY A READING. Most of all, the best way to know if a particular psychic is a good match for you or not is to use your own intuition and street-smarts. If you feel like something is wrong, it is. To the best of my knowledge, all other images public domain or licensed free to use. Next Post Q&A: Why Don’t They Just Ask Themselves?